Summer in Full Swing This Week! 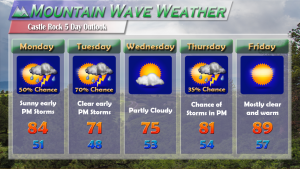 On Monday and Tuesday we see an increased chance of thunderstorms across the Palmer Divide region. The Storm Prediction Center has a “MARGINAL” risk of severe weather, which generally means there is a slight chance of thunderstorms becoming severe. The storms should be relatively scattered in nature so only a few areas will see any storms turn severe. Overall the threat is low but still worth keeping an eye on if you live in the risk area. Monday’s severe weather risk is Marginal and covers mainly Central and Eastern Colorado. Primary threats are hail and wind. Wednesday and Thursday look a bit calmer in regards to storms but the cool front that moves through on Tuesday will drop the temperatures for most of the week. 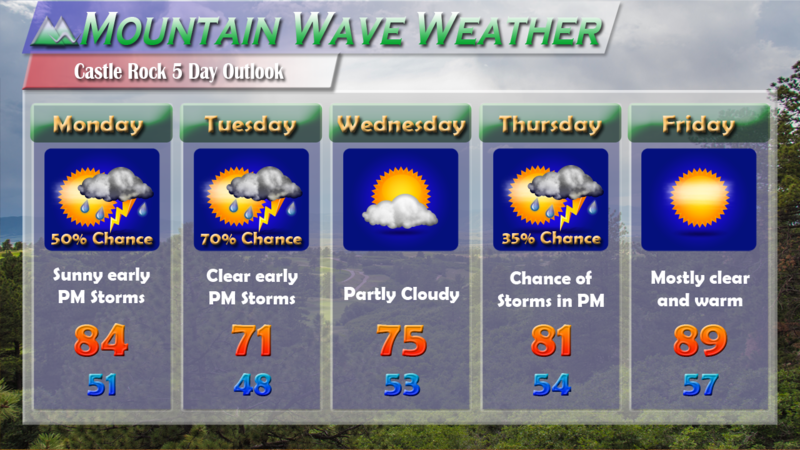 Expect highs in the 70’s to low 80’s mainly with a slight chance of storms on Thursday. Friday and beyond looks like we will be turning the thermostat up! Expect temperatures close to 90 degrees on Friday. Preliminary data shows Saturday and Sunday being both nice but Saturday may be a bit of a scorcher with some of the warmest temperatures we’ve seen yet this year! 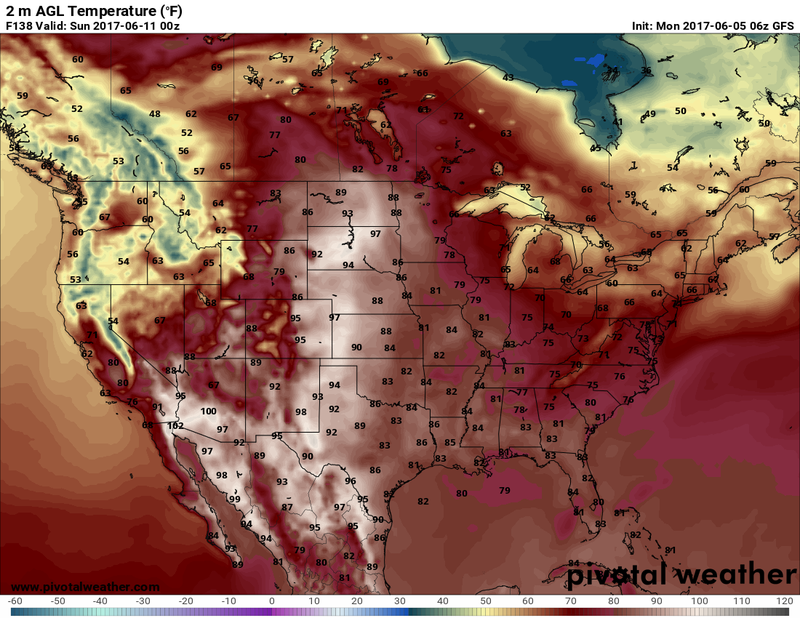 A very hot weekend may be in store for most of the U.S.
Look at the hot air moving in through the central part of the country! 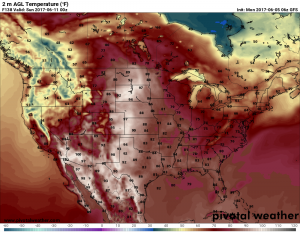 This model shows high temperatures on Saturday, don’t focus on the specific temperature numbers (it’s still 6 day out afterall!) Instead look at the overall picture here, it’s going to get very warm for a good chunk of the country by the end of the week!